Pictures always tell stories. They speak of triumph, pain and the extraordinary toughness that is distilled down to a moment in time. 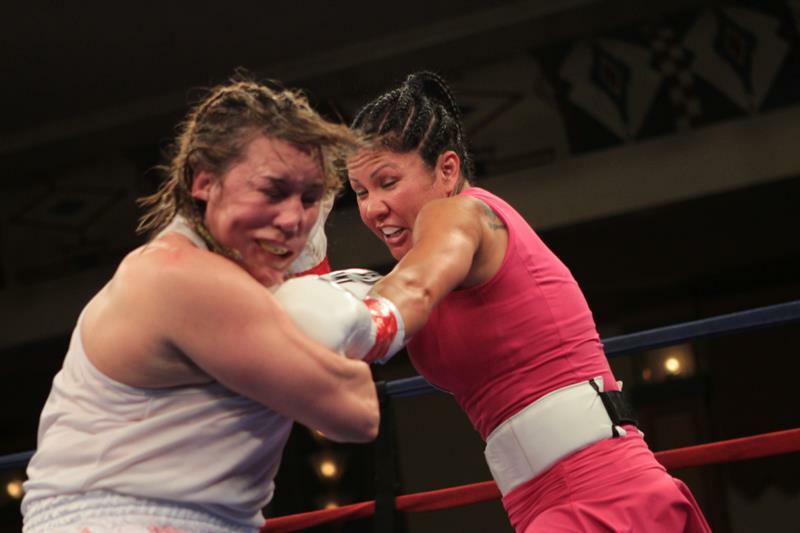 For Christy Martin (49-7-3, 31-KOs) and Mia St. John (46-11-2, 18-KOs) two legends in the field of women’s professional boxing those pictures, framed within the confines of a ten-round championship battle are indelible for what they tell us about tenacity, courage and love for the sport that both of these women has put so much heart into. 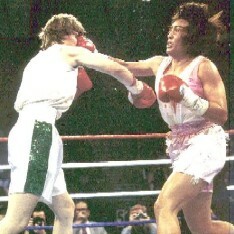 Mia St. John won the fight by decision: 96-94, 96-94, 97-93. The decision was considered fair, and evened up their previous meeting on June 12, 2002 when Martin defeated St. John by decision. Both women announced their retirement after the fight and given that they are 44 and 45 years old respectively, why not. They’ve earned the right to hang up their gloves as much as any two champions who ever lived. Christy Martin began her boxing career in the Toughwoman contests of the early 1990’s before finding her way to Don King and her most famous bout against Ireland’s great boxer Deirdre Gogarty on Showtime’s PPV in 1996. That fight put women’s boxing on the map — and ready or not, into the primetime of promotional gambits that sought to capitalize on Martin’s success in the ring without regard for the women who actually fought these battles, or the consequences ten years later when the bottom seemed to fall out of professional women’s boxing in the United States. Mia St. John was able to capitalize on that first wave herself, entering the ring in 1997 and signing first with Don King and then with Top Rank. She continued to box, just as Christy did through the good and lean times of the sport. Women fight, win, lose, and tough out purses that barely cover expenses, never mind the cost of hitting the gym every day or going into camp for several weeks before a particularly tough bout, things that are taken for granted in the world of men’s boxing, but seem like flights of fancy for the female fighters. Martin and St. John and countless other women who fought alongside them, some highly renowned, others only in their respective cities or gyms, fight on even now if for nothing else than for love of the sport and the opportunity to fight through the things that bring them to the ring in the first place. Martin and St. John’s bout was their last battle, but to borrow a term from track and field, they have passed on the baton and then some to countless women who have been inspired by their fortitude as they’ve braved the gauntlet to fight and fight hard in the ring. That it comes on the heels of the debut of women’s boxing in the 2012 Olympics is so much the sweeter. Women’s boxing has Marlen Esparza (Bronze, flyweight medalist), Queen Underwood (lightweight Olympian) and Claressa Shields (Gold, middleweight medalist) to mark another milestone in the sport as great as the night of March 16, 1996 when Martin and Gogarty put the sport on the map. But they’ve also got sisters in gyms across the United States and the world working out two to three hours a day for the chance to climb through the velvet ropes to tell their own stories in minute frames of images. What we owe to Christy Martin and Mia St. John is incalculable, suffice to say Girlboxing sends a salute to these two remarkable women who have literally pounded the flesh for glory. AMEN! Sorry Christy didn’t get her “50” wins that she wanted, but her record still ROCKS. AMEN is right. “50” would have been sweet for her, her accomplishments otherwise are incomparable. Just to consider that she literally pulled herself up from a hospital bed to get back into the ring is her best win of all and to my mind counts as her “50th” and then some! 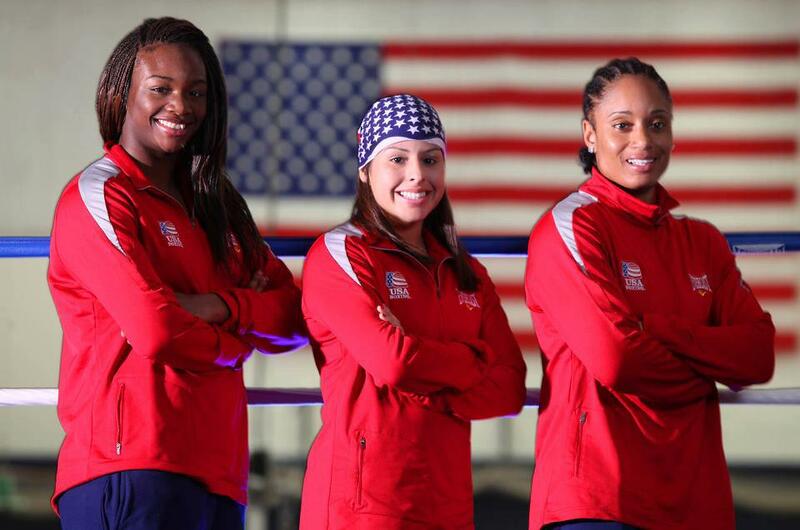 « The faces of the women’s Olympic boxing!